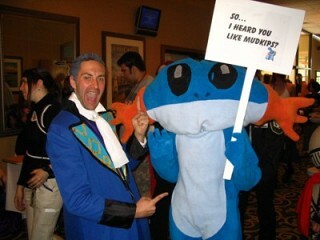 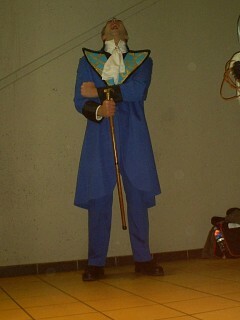 This costume was the my first one made mostly from scratch. 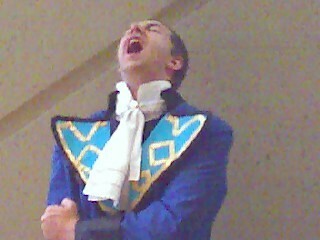 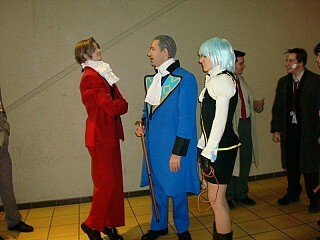 The coat, vest, pants, and jabot were all made using a pattern and altering slightly so the coat was more of a cutaway. 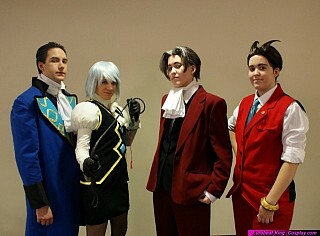 When I first wore this my original wig was rendered useless, so I idiotically threw on my crappy Xemnas wig and looked more like Motley von Crew. 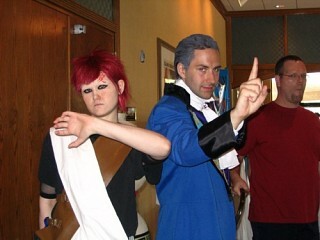 Then someone recommended Mehron's liquid make-up and Got 2 B Glued, and I like that MUCH more. 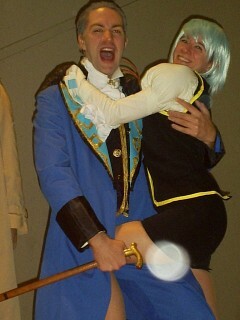 Yaexrae Omfg, I love this costume so much. 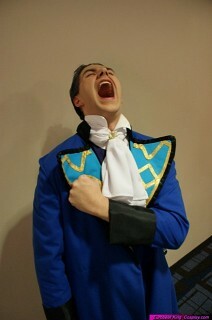 ;__; Your captions had me literally laughing out loud too. 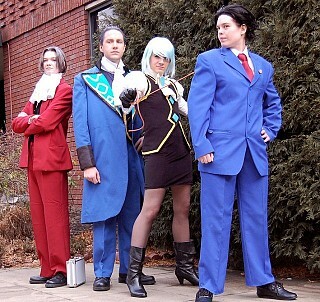 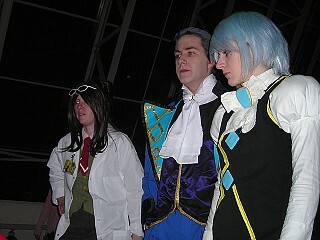 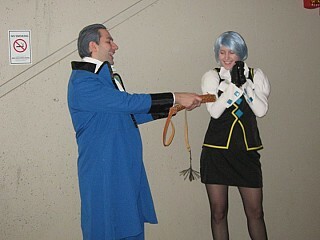 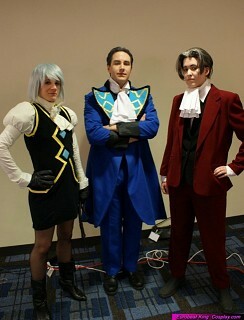 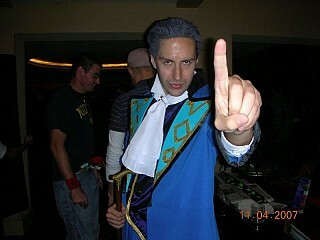 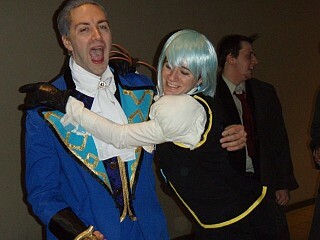 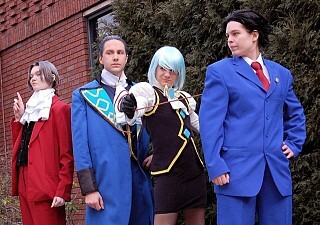 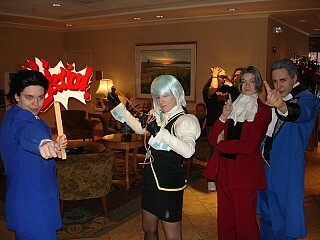 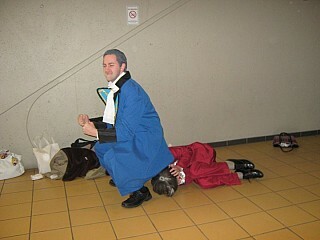 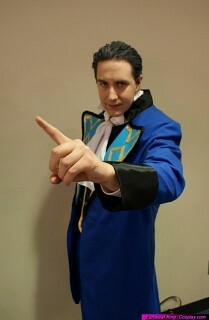 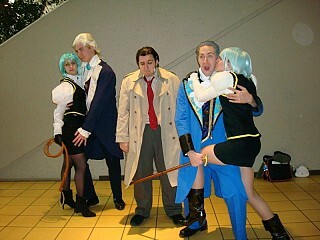 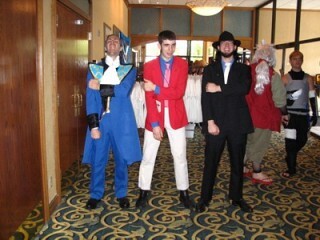 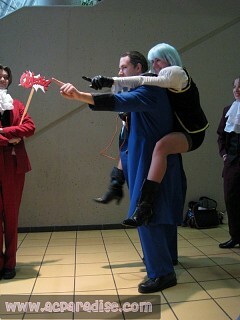 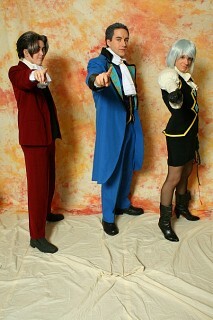 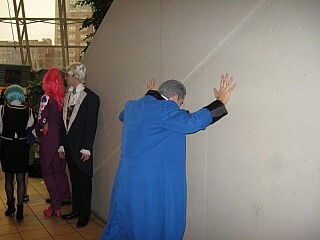 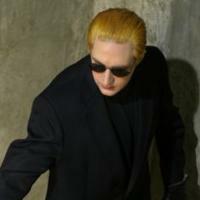 I'm so bummed I wasn't at Ohayocon 2009, because I went this year as Franziska and there were no Manfreds anywhere.